This is the second painting I have created in my life time. 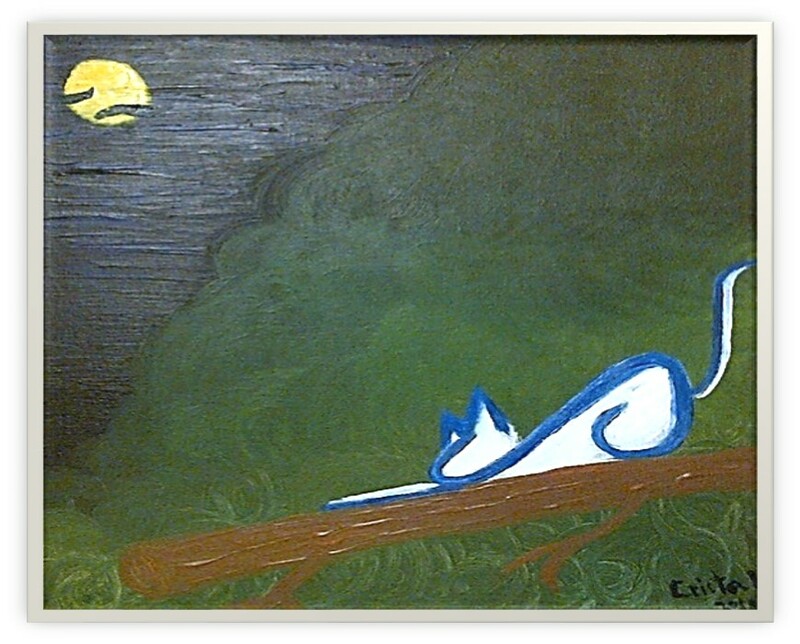 The painting was completed in 2011 and I named it “Berkeley the Cat” as I was inspired by the 18th century Irish philosopher George Berkeley at the time. If I remember correctly, I actually did not study any of Berkeley’s works in my philosophy classes during my time at the university. 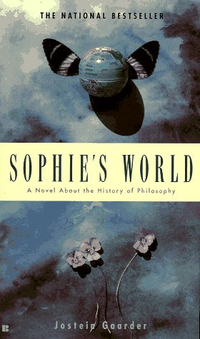 However, I came across Berkeley’s theory on subjective idealism on one of my favourite books of all time – Sophie’s World, which is a novel written by Norwegian writer Jostein Gaarder. It sounds like a silly question, doesn’t it? This thought experiment is derived from Berkeley’s theory regarding human perception and reality. Then I did a little research on his philosophy. It is not that I embrace or disagree with his views, I simply did it out of curiosity and was inspired by Sophie’s World. Although in the novel, Berkeley is not mentioned until the last chapters, his philosophy is the core concept of the entire novel. It is basically the way the book was plotted. The story was organised around the ideas of one’s limited knowledge, imagination and actual existence. Back to Berkeley, I suppose his response to the question mentioned above was his famous quote “To be is to be perceived”. Long story short, as the quote literally suggests, that material substance cannot exist without being perceived. The expansion of the idea is that the way we perceive, or in other words, the way we sense the external world, creates our subjective reality in our mind. That is to say that ideas, thoughts and opinions of the things we perceived are produced in our mind and that forms our reality. In my opinion, Berkeley is definitely an empiricist and a solipsist. It seems to me that his philosophy bears some resemblance to that of René Descartes.